Hall of the Mountain King: Review: Beyond the Embrace, "Against the Elements"
Review: Beyond the Embrace, "Against the Elements"
Not so long ago, the extreme metal genres were all about speed and intensity with little attention paid to melody or song structure. Fast and complex was all that mattered. 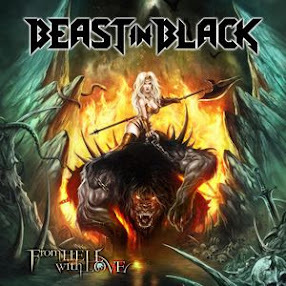 Then along came bands like In Flames and Soilwork that took the aggression of Swedish death metal and added depth and melody. Following in that tradition - and building on it - comes Beyond the Embrace. On their debut album "Against the Elements," the Massachussets sextet takes the Gothenburg sound and Americanizes it with some very good results. "Against the Elements" is reminiscent of Fear Factory's early work. It features heavy, pummelling songs, punctuated with ethereal, melodic interludes. The transition here is much smoother and more natural, though. The triple guitar attack of Alex Botelho, Jeff Saude and Oscar Gouveia, provides a thickly layered backdrop for vocalist Shawn Gallagher, who alternates between the standard extreme metal shrieks and growls, and more impressive, mournful vocals. Drummer Mike Bresciani and bassist Adam Gonzales are not flashy players, instead they're the workhorses of the band, laying down a solid foundation for the rest. There's even a commercial turn or two on the album, though they're brief. The punk-influenced "Mourning in Magenta" convinces the listener that Beyond the Embrace could be part of the new crop of MTV-friendly metal. The band quickly disabuses listeners of that notion with the next song "Compass," a high-speed assault on the ears that brings to mind early Slayer and Morbid Angel. That sets the tone for the rest of the album, which features solid slabs of metal like the title track and "The Bending Sea." That said, the arrangements on songs like "Rapture" and "The Riddle of Steel" show far more thoughtfulness than normally found in this brand of music and raise Beyond the Embrace to another level. Sandwiched in the middle of the album is the melancholy instrumental "Drowning Sun" which showcases the bands musicianship at lower speeds. 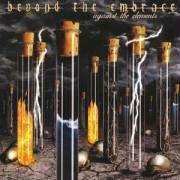 If you like your metal fast and heavy, but with a strong melodic sensibility, Beyond the Embrace delivers. Review: Coal Chamber, "Dark Days"